Brent C. Snyder is a founding shareholder of Snyder Attorneys, P.A. He was awarded his Juris Doctor degree from William Mitchell College of Law and completed his undergraduate studies at the University of Colorado at Boulder. He is admitted to practice law in Minnesota and the United States District Court for the District of Minnesota. 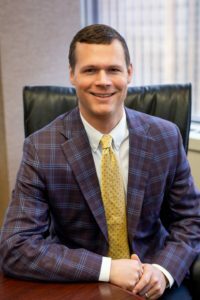 Prior to founding Snyder Attorneys, P.A., Brent was immersed in the real estate industry, first as a commercial real estate broker for Welsh Companies and then as an associate attorney in the real estate department of a mid-sized Minnetonka law firm. He has over twelve years of experience in all areas of real estate, including acquisitions, dispositions, development, leasing, evictions, mechanics liens, litigation and entity formation. Brent also is an effective trial lawyer and has successfully litigated cases involving real estate disputes, evictions, construction defects, employment claims, securities fraud, warranties and general business matters. He is proud to have provided representation to clients ranging from individuals to large companies, including Told Development Company, Hempel Companies, Navigator Real Estate Corporation, KAMI Development, Welsh Companies/Colliers International, Cassidy Turley, Birchwood Laboratories, Capital Partners and MP Johnson Construction. Brent is admitted to practice before the Minnesota State and Federal Courts. Brent stays connected with the members of the real estate community through his Association with the National Association of Office and Industrial Properties and the Minnesota Shopping Center Association. He is also active in the Minnesota Bar Association and is a former co-chair of the Newer Lawyers Committee of the Federal Bar Association.